Senior Singles Dating – A Second Chance At Happiness And A New Family! By today’s guest blogger here at SingleDating.com, Angie. Today we welcome guest blogger Angie to give her take on the perennial topic of dating senior singles. Much has been said on this subject in the past (and much of it here at SingleDating.com!) but there’s always room for more views and info on such a popular subject area. More older singles than ever before are meeting new people online, so no doubt this is not going to be our last post in this area! Dating has always been the preferred way to meet singles about town. Contrary to popular beliefs in Society it is not only the young who can go on a date. Even seniors can and they obviously want to do so. Perhaps it is truer to say that it is the younger parts of Society that hold a stereotypical view of mature single people. Regardless of this, the trend for senior singles dating is slowly catching on. More than ever before and thanks to the Internet, there is now a chance for all seniors who are single to get the missing elements of fun and romance back into their lives. and discover who is waiting to meet you. Many people still seem to be of the opinion that dating and romance is a prerogative of youth. On the contrary, youth is something which is more than just having dark hair and a slender body. It is a state of mind. Irrespective of age, the mind and heart can still be youthful and yearning for love. So what is the solution for such older people? The answer of course has now come forward to us in the form of a senior singles dating site. Sometimes I feel though that there are not so many options as might appear for such seniors wanting to date and expand their social circle in their ‘twilight’ period. Whatever my feelings, the concensus is that there is a huge shift in the mentality of Society and more and more senior citizens are coming out into the open to express their desire of being with someone of their age group and to ‘live in love’. As such, senior dating sites have gradually becoming more common. And isn’t it true that we all want to spend our lives with someone who is entirely compatible with us. Senior singles dating gives a chance to all the seniors out there to find that one beautiful person who will light up their lives merely by his or her presence. The fact that you have someone to care for you in your later years is also a very comforting and reassuring thought. An added element is that in getting together with a new love you will also ‘inherit’ their family too. So you will in effect get an extra new family to add to your own! Of course this is true when one finds new love at any age, but it may be particularly comforting in your older years. To make the best of all of this, therefore, it is imperative that once you have joined a senior dating site you complete your entire profile and clearly mention all the specifics that you would like your partner to have. This will set clear-cut expectations for prospective dates before they even approach you with overtures of friendship and you will not end up wasting time with those who are unsuitable for you. It is an inherent belief in Man that for every person, there has to be someone special that God Almighty has created. As they say ‘hope springs eternal’ and so is the behavior of Man. He too feels that the love which fate had not bestowed upon him can be obtained if he gets a second chance. In this regard, a senior singles dating site has proved to be a huge boon for senior citizens everywhere. Our Recommended Senior Singles Dating Site: Click here to visit our recommended site to meet single seniors and find out who is waiting for you there. Before moving to resources outside of this site I’d like to draw your attention to the wealth of information and advice we have here at SingleDating.com for senior singles. I won’t go into too much detail but would like to highlight 2 pages which our visitors are finding useful. The first of these is Dating Mature Men and Women over 50. 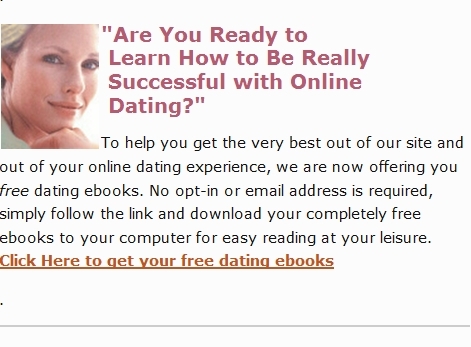 This mature dating page here at SingleDating.com continues ever to receive more visitor traffic. This is probably because it provides resources to so many other senior singles pages. Here we have another useful page full of information on the topic of mature senior singles dating. Apart from resources, this page also includes an article on the subject of senior dating and dating interracially, an interesting combination. A somewhat discouraging report (but included here for interest and to prepare you for any negative attitudes) from The Guardian newspaper suggesting that older men are only interested in dating younger women. As with most newspaper reports you have to take it with a pinch of salt, as they are in the business of selling copies and so being controversial or eye-catching is part of their game, even for The Guardian. Of course there are many senior men who want to find dating with senior women! An online newspaper report from the Hindustani Times about a group of senior singles trying out speed dating. A singles over 60 page at Facebook, for those interested in resources there, which I’m not really, but ah well, that’s just me. A page from ThirdAge on the topic of ‘senior dating over 40′. It has always seemed to me that the term ‘senior’ implies someone over 60 not 40, but that is just my opinion. An example of a senior singles site for christians, this one apparently featuring a picture of Gary Linecker! There are many such sites online, all following similar kinds of layouts. Senior Singles Dating Relationship Advice — Humorous Video! Here again is our recommended Senior Singles Dating Site: why are you still here? Go visit the site now and find out who is waiting for you there! Please check the address bar of your browser — if you aren’t looking at this senior singles dating page at http://www.singledating.com/blog/ then you are almost certainly reading an unauthorized copy as this content is exclusive to SingleDating.com and is copyright (yes, I know, but they will even copy this bit too!) Please navigate directly to www.SingleDating.com/blog now for the real page with our genuine recommended links. All information on this page is believed correct at time of publication. Don’t forget to bookmark this post about senior singles dating! © 2012, SingleDating. All rights reserved. Senior singles dating really can work – I know. "Women and men can find love or friendship at our recommended leading dating site, PenPalsPlanet.com"
Join our recommended dating and pen pals site for free right now through the quick and easy sign-up here: Join PenPalsPlanet.com for Free. No strings, no cost, your email is safe, give it a try and meet new people just like you. Where To Find Women: In Your Area Or Online? What Makes Women Attractive To Men?